Google released the “Pixel Ambient Services” app for Pixel 2’s Shazam-like music recognition feature on Play Store, ahead of the October 4th Pixel announcement event. And today, Google has added the battery app found on Pixel and Nexus on the Play Store, for faster and easier updates. 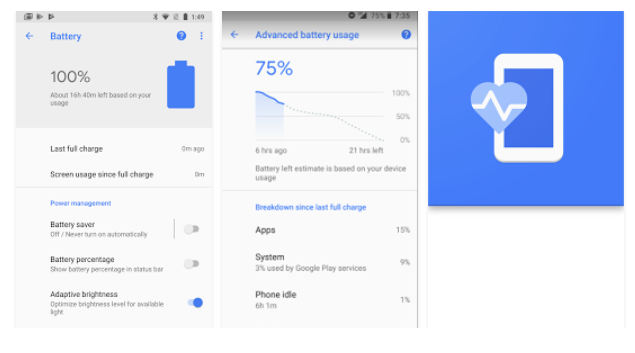 Judging by the screenshots of the new version, the battery section inside the phone’s settings that provides info about battery usage. 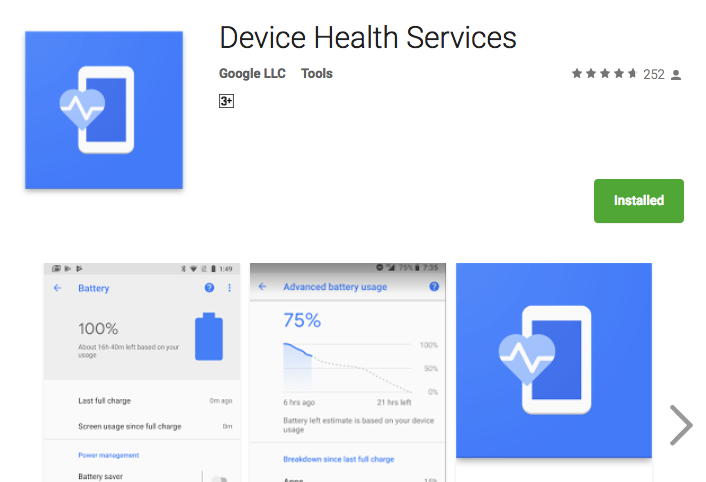 Device Health Services helps in offering better statistics about battery usage on your device. We can expect more goodness attached to the app, but for now, we only know the basics. Google has been continually listing internal apps on the Play Store for faster updates. This way, Google and release individual updates for the specific apps instead of including the patches in the system update. Another internal app that made it to the Play Store recently is the Carrier Services app. Over time, Google will be listing more system apps on the Play Store. We think Pixel 2 and Pixel 2 XL will reflect the same version once they go on sale. For Pixel and Nexus devices running Android 7.1 or higher, you won’t get the enhanced battery screen from Oreo on Nougat. This update only improves ‘time remaining’ calculations to reflect the device’s battery usage. Have you got the update on your Pixel or Nexus device? Share your views in the comments section below.